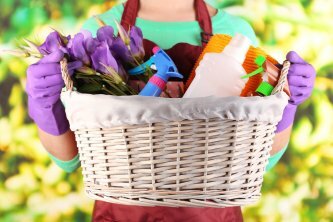 After surviving another long winter, you deserve to have a clean and orderly home in time for spring. House cleaning services in Detroit can help you get your home ready for the rest of the year. Keep reading to find out why you should get ready for spring with professional cleaning services . If you have neglected some of your cleaning duties during the winter, the task of cleaning your entire home can seem overwhelming. When you hire a professional cleaning service, though, you can enjoy a clean home without all of the work. Professional cleaners are up to the task of cleaning your home so you can enjoy a beautiful interior, even if it is currently in a state of disarray. 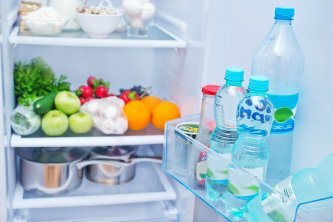 You might have the cleaning supplies you need for weekly cleanings, but do you have what you need to take on a major spring cleaning project? If you hire a professional cleaning service, they already have all the equipment they need to do the job for you. This means that you do not have to invest in cleaning products that you will only use once or twice a year. The maids will bring everything they need to your home so you do not have to worry about adding to your cleaning supplies. If cleaning is not your forte, you might not have the knowledge to get your interior as clean as you want it to be. When you hire a professional cleaning service to do your spring cleaning for you, they know exactly what they need to do to get your interior in the best condition. From the bathrooms to the hallways, they will ensure that your home is as clean as possible. When you have pets, it is much more difficult to keep your home clean. Without effort, your home will quickly show the wear and tear of life with animals. Use the following tips and a professional cleaning service in Ann Arbor to enjoy pets in your home without the mess. Hair is one of the biggest issues of having a pet. If you are tired of sitting on layers of hair that your pet has shed, you should take some time to brush the animal once a week or once every few weeks. This will significantly decrease the amount of hair that ends up on your floor or on the furniture, so your professional cleaners will be better able to get your home in the best condition. If possible, you should brush the animal outside so you do not accidentally spread the hair around your home. You can avoid a lot of unnecessary accidents by consistently housetraining your pet so he understands where to go to the bathroom. Whether you train the animal on your own or consult a professional trainer, housetraining your pet can prevent a lot of accidents that can dirty your floors. If you have cats, you should empty the litter boxes regularly to keep your home from smelling. If you have dogs, you should let them outside enough times during the day to prevent an incident inside. When you have pets, you need to clean your home more often to keep it in the best condition. If you do not have the time to clean your home regularly, you can hire a cleaning service to help. 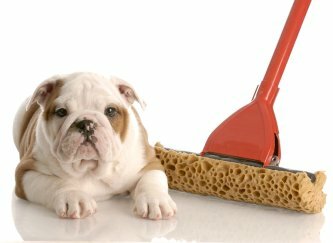 Home cleaning services in Ann Arbor, Novi, Detroit, and the Detroit Metro area can provide the help you need to keep your house clean even if you have pets. Whether you have one dog or six cats, the professional cleaners will give your home the attention it needs. When you have pets, you have to devote more time to cleaning your home to keep it in its best condition. If you do not have the time, you might want to hire a professional residential cleaning service in the Detroit Metro area to do it for you. If you have a dog or cat, you have to vacuum frequently to get rid of hair and dander that might be on the floor. It is important to vacuum the entire home, including beneath the couches. You can also brush your pet regularly to help keep shed fur off of your furniture. Check out this video to learn more about keeping your home clean when you have pets, and remember, with the help of a professional cleaning service, you can always come home to a clean house.